The book elaborates and illustrates why human beings must earn as per their skills, which in turn determines their ability to contribute in society. The book release of Arindam Chaudhuri’s new book ‘What Marx Left Unsaid’ by former I & B minister Manish Tewari. 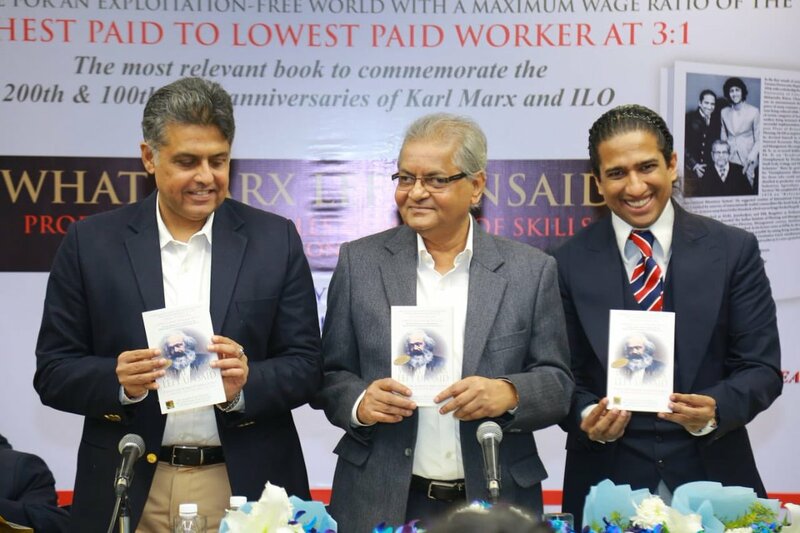 Indian Politician and author, Manish Tewari launched “What Marx Left Unsaid” – Production of Skills by Means of Skills, authored by Dr. Malay Chaudhuri, Dr. Arindam Chaudhuri and Che Kabir Chaudhuri today at a function at the India International Centre, New Delhi.